Steel axle rectified, tempered and polished 2.38 x 50 mm Pack with 2 axles. ..
Steel axle rectified, tempered and polished 2.38 x 52 mm Pack with 2 axles. ..
Steel axle rectified, tempered and polished 2.38 x 55 mm Pack with 2 axles. ..
Steel axle hollow rectified, tempered and polished 2.38mm x 50mm Pack with 2 axles. ..
Steel axle hollow rectified, tempered and polished 2.38mm x 52mm Pack with 2 axles. 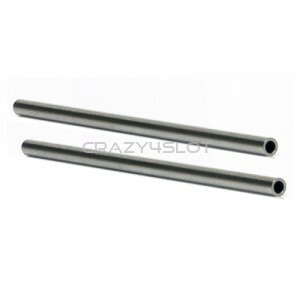 ..
Steel axle hollow rectified, tempered and polished 2.38mm x 55mm Pack with 2 axles. .. 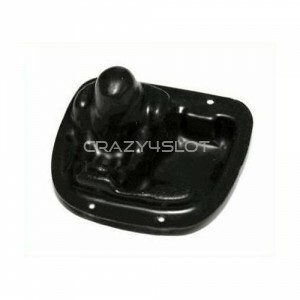 Complete hard motor pod for the Sloting Plus Reynard 2KQ , comes with all parts as shown in photo.. Pack of two 3/32'' - 2.38mm universal bushings in leaded brass, low friction, compatible with all.. 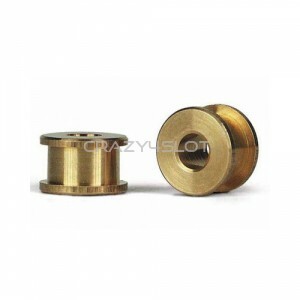 Pack of two 3/32'' - 2.38mm bushings in leaded brass, low friction, with eccentric (off set) 0.3m.. 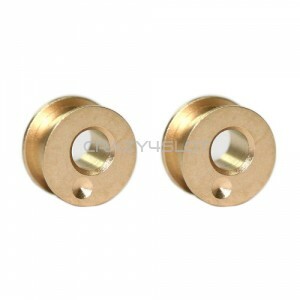 Pack of two 3/32'' - 2.38mm bushings in leaded brass, low friction, with eccentric (off set) 0.6m..
RRSS Victor's spherical bearing for motor mounts using 2.38 mm diameter axle. .. 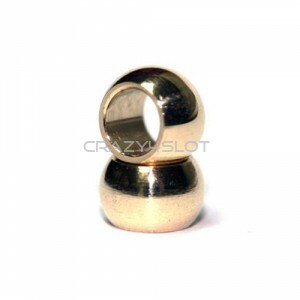 Pack of 2 steel ball bearings one flanged, for 3/32'' - 2.38mm axles, weight: only 0.18 grams. .. 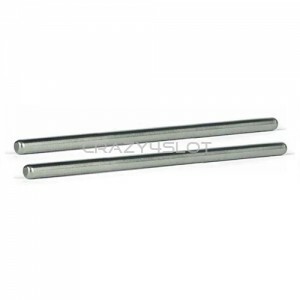 Pack of 2 steel ball bearings double flanged, for 3/32'' - 2.38 mm axles. .. 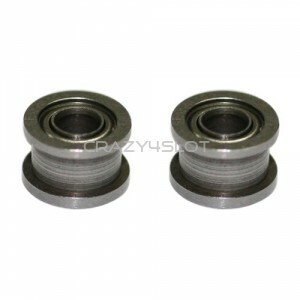 Pack of 2 steel ball bearings double flanged, for 3/32'' - 2.37 mm Nsr axles. 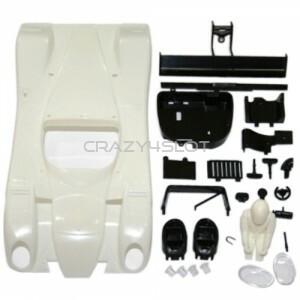 ..
Reynard 2KQ complete white body kit, with all body parts as shown in photo. 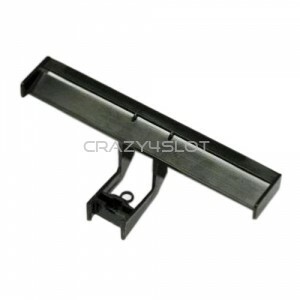 ..
Reynard 2KQ rear wing, in flexible ABS plastic. .. 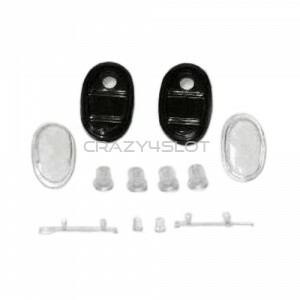 This kit includes all the light parts of the Reynard 2KQ by Sloting Plus. .. 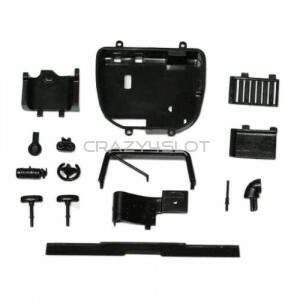 This kit includes the plastic body parts of the Reynard 2KQ by Sloting Plus. 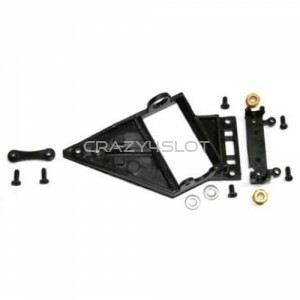 ..
Lexan cockpit for Reynard 2KQ by Sloting Plus. 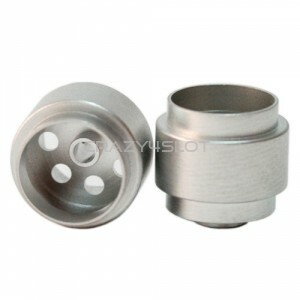 ..
Universal wheels F1 14.5 x 12 mm, for 3/32'' - 2.38 mm axles, M2.5 grub screw, in aluminium, weig..